Use the Cornelian star beads to make a Very Berry Bracelet! You'll have enough beads left over to make some Very Berry Earrings! To make your berry cluster, follow the steps from the Very Berry Earrings project. Take a 30cm length of elastic and pass it through the middle hole of the cluster. 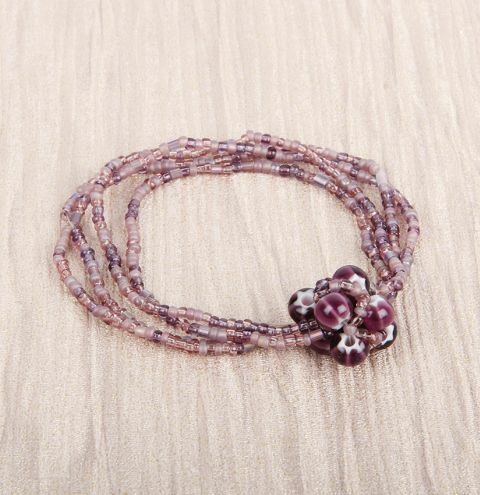 String on your seed beads from one of the bracelets and tie the ends in a knot to secure. repeat this step with three of the other bracelets.